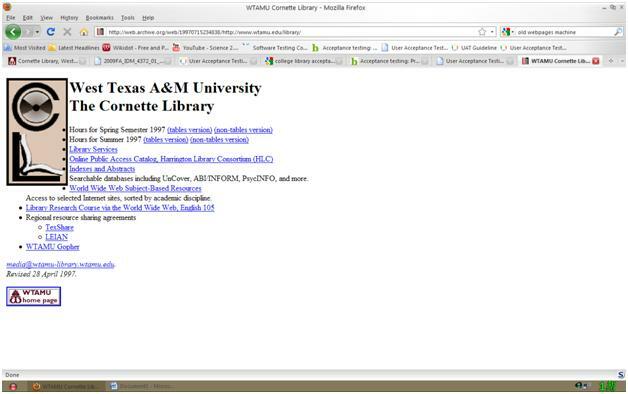 Cornette Library Acceptance Testing - CIS 4372 HCI and Data Viz. Acceptance testing is completed after the system is installed and before it is released to the end user. The system must pass predefined benchmarks that are specified before testing begins. If the tests fail to meet the requirements of the end users, further refinement will be necessary. The final part of the UAT can also include a parallel run to compare the new system against the current one . The beta testing phase would be considered part of this process. 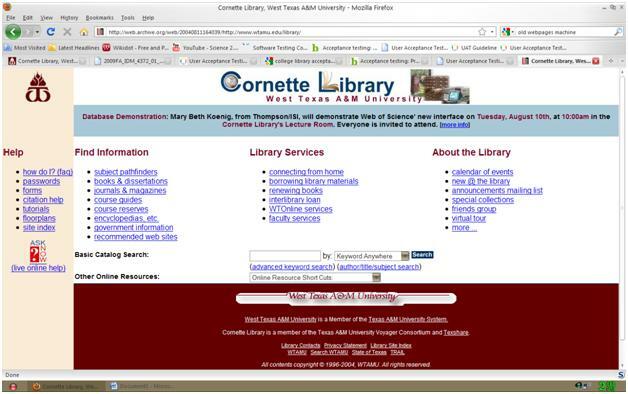 Use cases could have been used when implementing the Cornette Library website. It seems plausible that the site designer did not include tips and hints to locate the resources that a typical user may find helpful. Mock users may have found it difficult and time consuming when interfacing in certain zones. That scenario might have been addressed and corrected with the addition of extra areas of explanation when attempting to use the resource locators. Subjective user satisfaction might have been a requirement with the latest revisions. 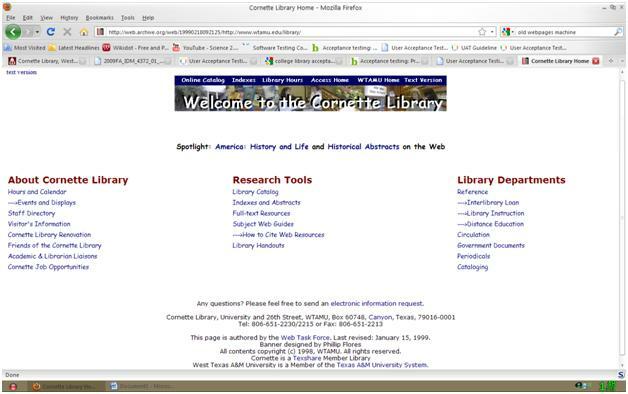 It is clear that earlier versions were not as appealing as is the latest design. Government regulations and standards would have also played a role in their tests. Accessibility for disabled individuals were of a concern. The goal of acceptance testing is similar to that of preventive maintenance: to identify and prevent potential unscheduled failure of the system while in service . UAT will also help in minimizing future costs of maintaining the system.